Infidelity dating sites are becoming very popular all over the world, especially in the United States where we have one of the most unfaithful populations in the world. Rosapurple.com is now hoping to win the hearts and minds of Americans. According to the Marketing Director of the Site, Charles Brasil, the site provides an essential service for its members. "Worry free adultery services," he said. "We are more likely not to get caught if the other person cheating with you has the same or more to lose." “Our site has what it takes to surpass the leader in our market. We have the right prices, great interface, great security measures in place and the most important thing is: we treat our customers right. Looking to cheat on your partner? There is a new option out there. 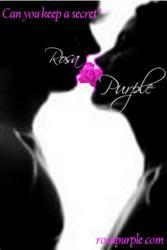 Rosapurple.com which opened for services in March 2012, believes that the market is big enough for a new extra matrimonial affairs site. The company is very familiar with Ashley Madison, but Rosapurple.com is eager to carve their place in the hearts and minds of the cheaters nationwide, and they just might know how. Rosapurple.com is the new site for dissatisfied husbands and wives, being already very popular in some Latin American countries such as Venezuela and Peru. According to the Marketing Director of the company, Charles Brasil, the strategy was to grow the site in Latin America first and then conquer United States and Canada where Ashley Madison is king. The premises of the site is to connect married men and woman who are not satisfied with their sexual lives, but Jonathan Gallagher, head of Customer Relations Department is quick to point out that the site also offers membership for single people as well. Rosapurple.com is based in Worcester, Massachusetts and was started by a group of college friends. The premise of the site is to connect unsatisfied husbands and wives who are looking for an adventure outside the marriage.